Ok, it’s been a few weeks since we gave you our first look at the prescription Oakley sunglasses provided by ADS Sports Eyewear. 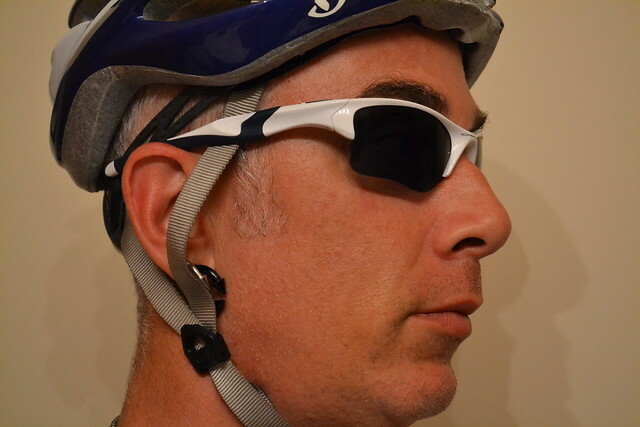 As I mentioned earlier, the process to select a pair of prescription cycling sunglasses is easy — ADS walks you through the entire process, from selecting the frames, to entering your prescription. As many of you may know, ordering things online without the ability to try a product on can be daunting. Luckily, ADS offers a “Try Before You Buy” program, where they will send samples of the frames you choose before making the the prescription lenses. The only cost for that program is the return shipping (details available in the link above). One thing that ADS does, unlike some other companies, is grind their own Oakley sunglasses lenses…even lenses that are outside Oakley’s own limits in terms of prescription strength. And ADS has some technology tricks up their sleeves; they use a couple of techniques to make the lenses clearer and thinner than a number of their competitors. They use a combination of free-form digital lens surfacing and lenticular free-form lens shaping (best explained by visiting ADS’s handy tech pages). I will say this: gone is the distortion and nauseating feeling I got from another pair of prescription wraparound sunglasses. The ADS iteration, with the free-form surfacing, means I have a much larger “sweet spot” that isn’t distorted in the corners and edges of my vision. This makes a HUGE difference to me. I was, however, able to get polarized lenses. Those lenses also make a giant difference in vision quality for me. Many of my rides go from bright sunlight to darkened wooded trails and back at the blink of any eye. Also, there’s a lot of shiny tarmac around this part of Ohio. Polarized lenses cut the sheen off the pavement and seemed to help with the transitions between light and dark as I rode. So, I felt as if I was able to ride with more confidence. An unanticipated benefit: I now have a sizeable advantage when I go fishing; I can see those little swimmers under the surface of the water with these polarized lenses! 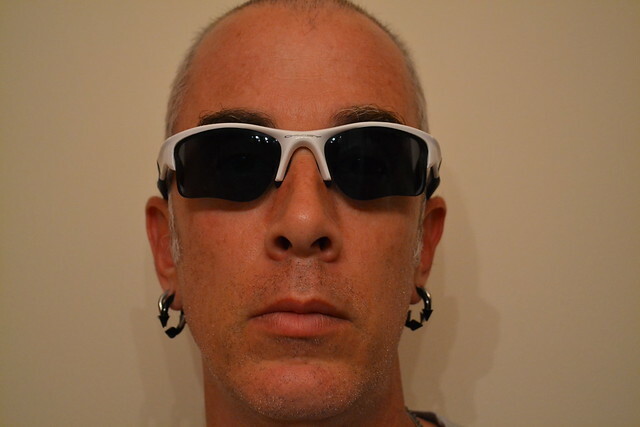 As for the glasses themselves, they are Oakley’s usual high quality: stout frames, great slip-proof earsocks and nosepieces, and rock-solid hinges. The Half Jacket 2.0’s lens shape is, I feel, a substantial improvement over the previous version. There’s a little bit of extra coverage in the lower corners that keeps eye-watering winds to a minimum. The frameless lower portion of the lens is great for cyclists, as well…a nice unobstructed view of the road ahead while you are in a riding position. ADS Sports Eyewear glasses aren’t cheap…prescription eyewear featuring name brand frames and lenses never are. In my case, the frames and lenses ran around $400. ADS does have some great warranties and “best price” guarantees, but what they really excel in is “value-added features”. They offer a huge selection of frames and coach the buyer through every step of the process…before, during, AND after purchase. I was rather blown away by their customer service; they answered a bunch of questions of a technical nature without me identifying myself as the reviewer, and they made sure I was satisfied with my prescription. They even offered to regrind the lenses if I had so much as a doubt they were incorrect (my lenses weren’t…right on the money the FIRST time). So, the whole package is worth the price of admission. If you’re in the market for some sport-specific prescription (or even non-prescription) eyewear, ADS is a fantastic source. They have a huge selection and so many positive features that you’d be hard-pressed to find a better place to get outfitted. Swing on over to their website to get a feel for the wide variety of brands and colors they offer. In late June 2013 I ordered and paid for a pair of sunglasses from ADS Eyewear that could use interchangeable lenses. I ordered three sets: non-prescription clear; non-prescription lenses; and prescription sunglasses. I never received the prescription lenses. I contacted the owner who asked me to return them for examination. He in turn indicated to me in an email that indeed there had been no prescription lenses sent. He claims that due to the time elapsed (over three months in their policy) he has no obligation to correct his error. When I persisted in emphasizing the initial critical error, he said I must have somehow mixed up the lenses. This company not only did not deliver what I ordered, but then makes me look bad by somehow ‘misplacing’ the prescription lenses. If this company cannot send the correct medically prescribed item, I question it legitimacy to be in business. I acknowledge it took too long to notice that my order was incorrect, however, I was never originally sent prescription lenses. There you have it. While I have no interest in this company, 90 days is more than generous from ANY company. If you can’t be bothered to check your package against your order receipt and invoice for that damn long why should it matter to the rest of us? You think just because your order got screwed up and you didn’t notice it until MONTHS later you have some sort of Internet Hall Pass to post this kind of whiny garbage? The company didn’t “make you look bad” you’re doing it yourself with this pithy missive. Grow up and take some responsibility for your own actions. Although it would cost much less money and time to simply give in to this extortion attempt, we refuse. Mr. Thurber states that he wore these lenses for 8 months and did not notice that there was no prescription in the lens. Given his prescription, this is absurd. Because Mr. Thurber is in Canada, our legal options are limited. It is unfortunate that people like Mr. Thurber see well-ranked companies like ours as an easy target. Everyone in our office has worked very hard to maintain our 5-Star rating. While it may be cost effective to give in to stand up to Mr. Thurber, we believe it is the right thing to do. Thanks for confirming what I had surmised from reading Mr. Thurber’s rant. Keep up the good fight.